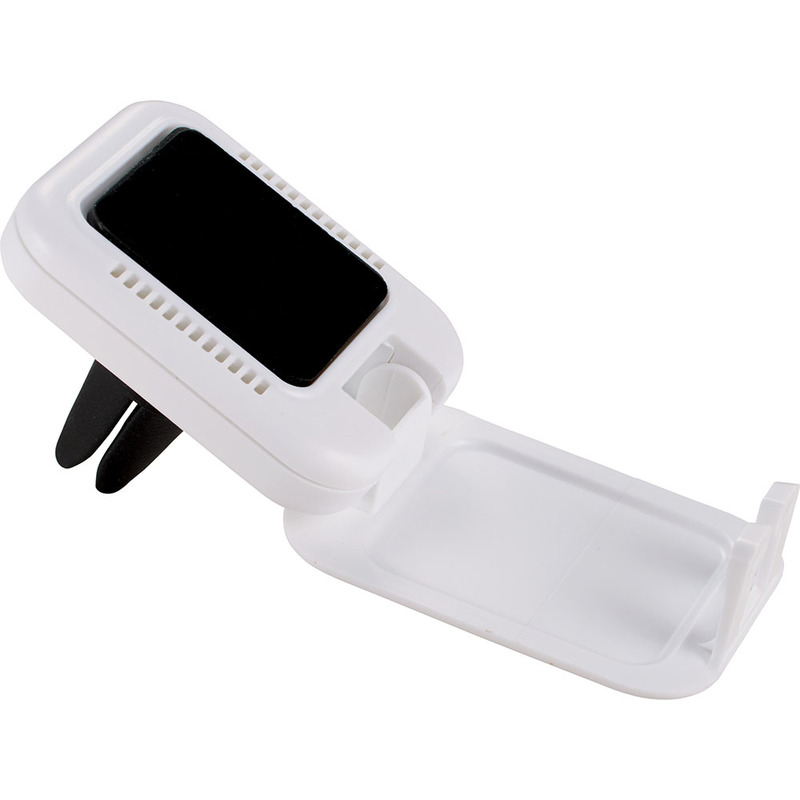 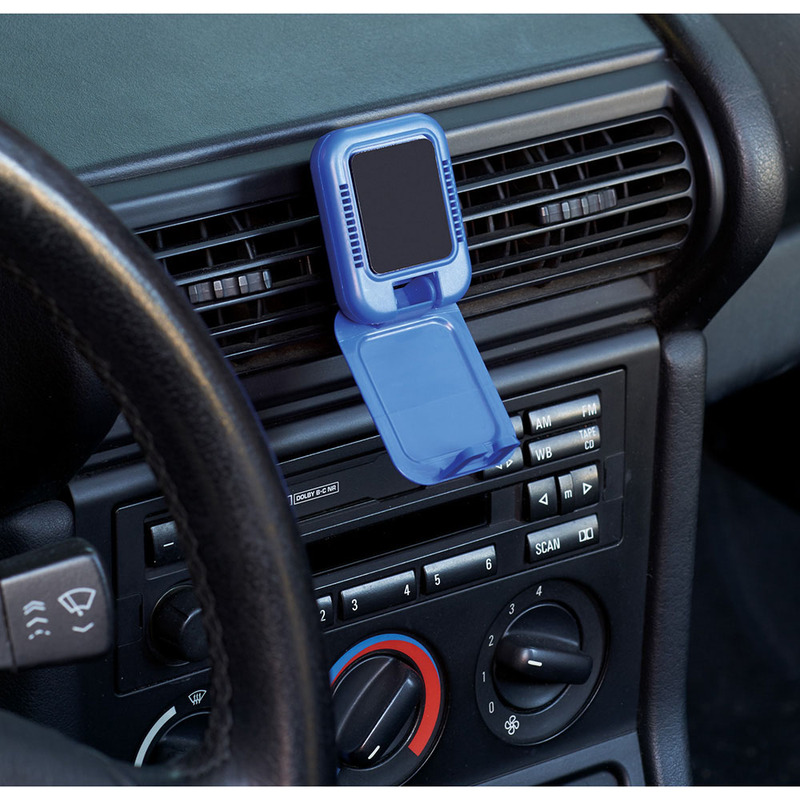 Get daily logo impressions with these two in one car phone holders. 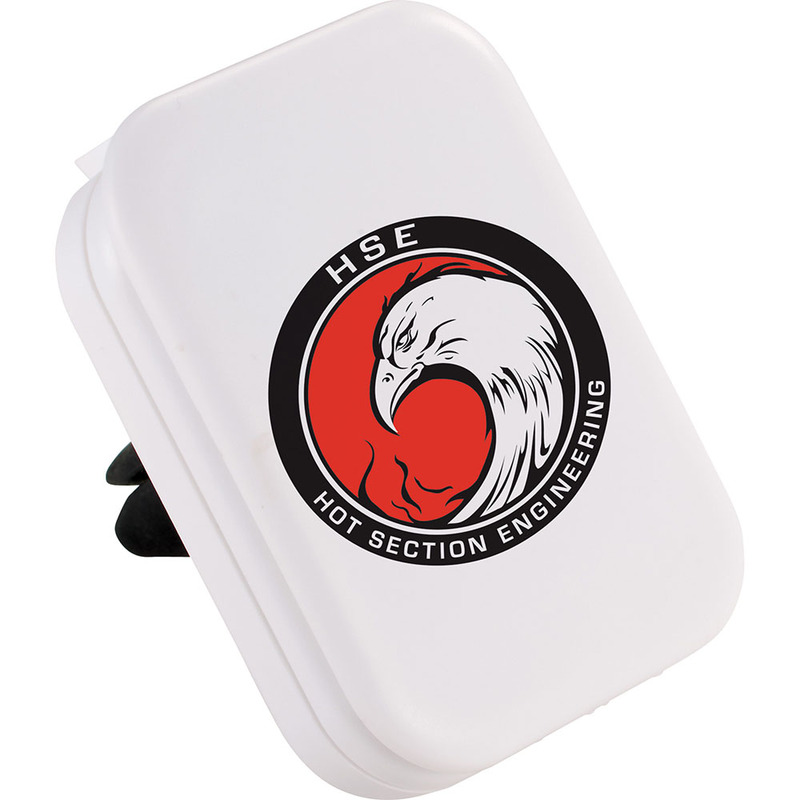 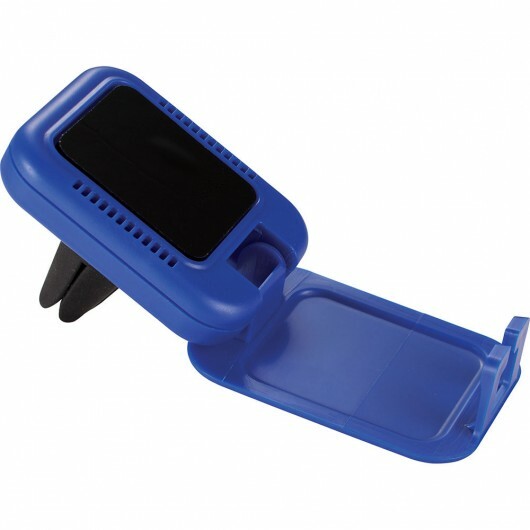 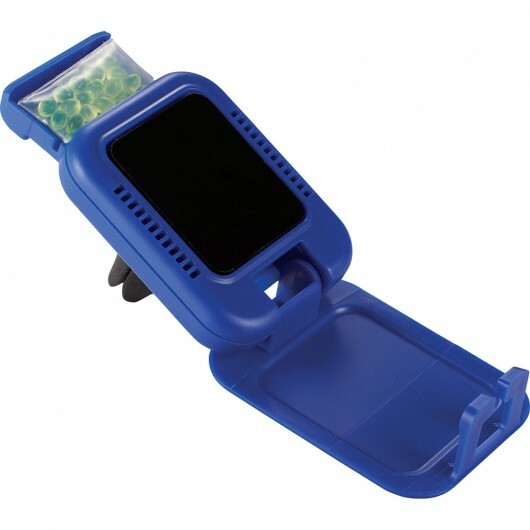 These convenient auto promotional product is available in your choice of 4 colours and has two in one functionality. The mount easily clips into the car air vent and unfolds at the front to securely hold your phone with anti-slip phone pad. 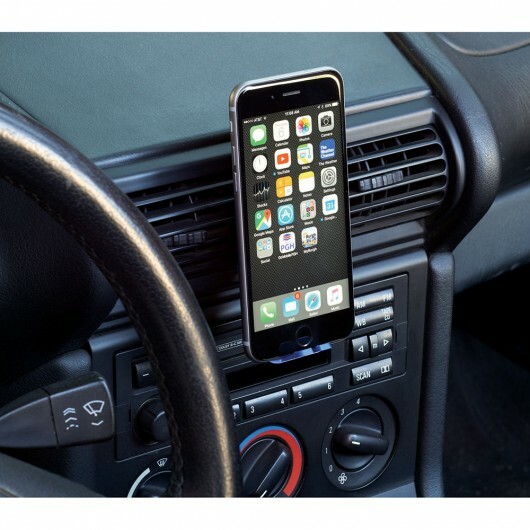 It also includes a lemon scented air freshener.